SYNOPSIS: A young singer, Gregg Henry, takes the rap for a hit-and-run that wasn't his fault. 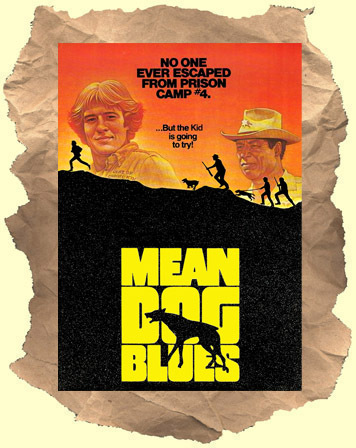 He ends up in a tough prison work farm run by the mean George Kennedy. He prevents convicts from escaping by using his vicious pack of dogs including a killer Doberman named "Rattler". The dogs are trained almost every day by doing practice runs on inmate volunteers. Physically fit Henry ends up with this exhausting task as he runs all day through swamps and desert terrain. All the while he plans his escape. The supporting cast is filled with familiar faces and solid performances including Gregory Sierra as a fellow inmate.